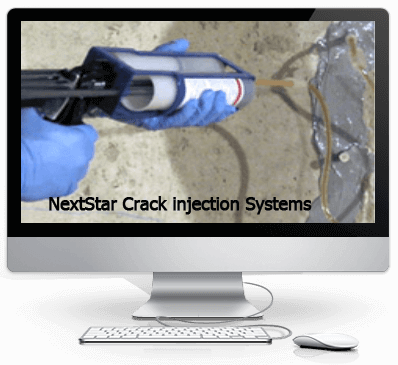 NextStar concrete crack repair products used to repair poured foundation cracks. 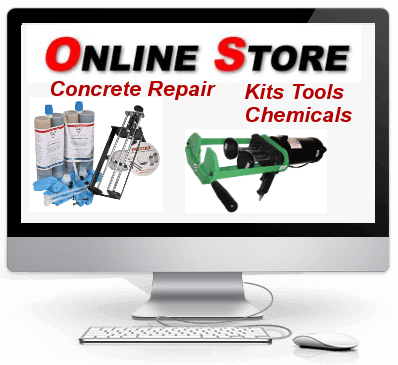 Products for foundation crack and slab repair. NextStar provides full support after the sale to ensure you get successful results. Professional results with Polyurethane or Epoxy injection of basement concrete cracks, Polyurethane for leaking foundations and Epoxy for structural repair using the low pressure crack injection method. A preferred solution for structural repair of broken or cracked concrete foundation and basement walls. Epoxy repair has a industry proven track record. Polyurethane foam crack injection is a recommended method of repair of non structural leaking and cracked foundation walls. Provides an easy to use permanent solution. 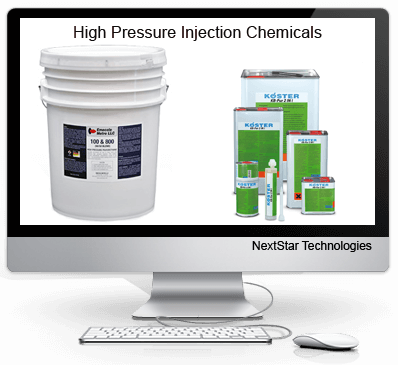 Get Professional results with NextStar Polyurethane & Epoxy kits. Systems designed to repair concrete foundation wall cracks from the inside successfully without digging. For Contractors, Home owners, D-I-Y owners. 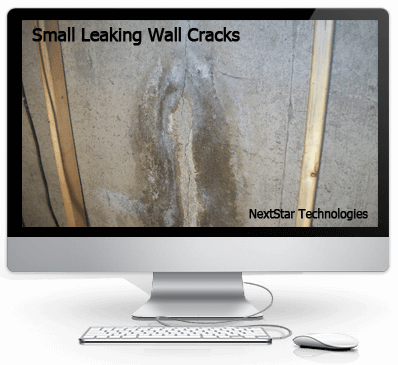 Stops water leaks with low pressure crack injection and provides the fastest and simplest repair of non-structural leaking foundation wall cracks. Most basement and foundation cracks fall into this category and with polyurethane crack injection it also has the advantage of expanding when it comes in contact with water allowing it to expand into the smallest crack and void. 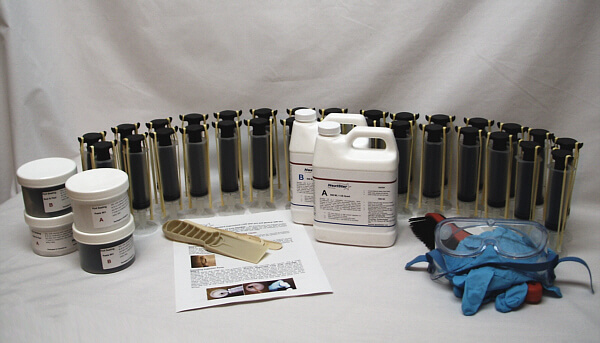 All of our injection products are professional grade and the easy to use polyurethane kits ensures that your repair will be successful the first time. The Injection Supplies & Refills subsection is a complete product list of individual components for concrete crack repair. Also consider our Carbon Fibre/Kevlar staples to reinforce across repair area for structural breaks in concrete foundations. 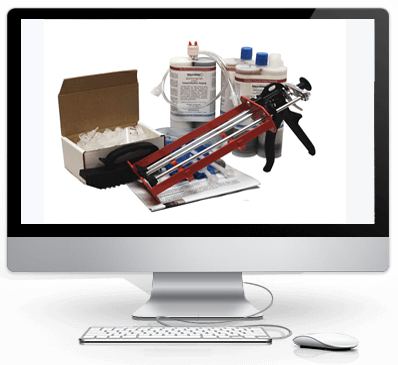 Polyurethane crack injection kits stop leaking concrete foundation cracks fast. DIY and kits for homeowners and contractors alike with professional results. For Non-structural repairs-simple to use with minimal skills. 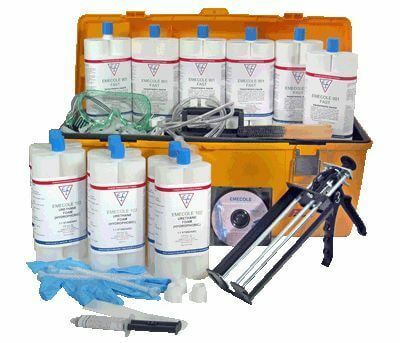 Concrete Epoxy Crack Injection kits for Poured Concrete Foundation walls. D-I-Y products for injection with Epoxy for concrete foundation crack repair, basements, vertical concrete walls leaking or not. Wide selection of Pro products. 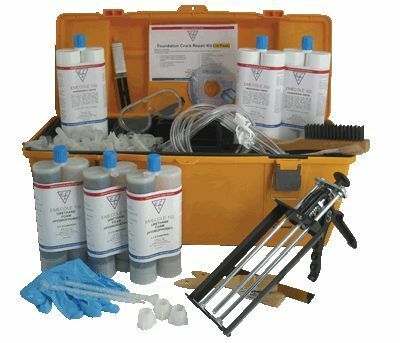 Polyurethane Foam crack injection kit Ideal for leaking basement foundations wall cracks with all necessary components for the repair up to 10 feet of concrete wall cracks 1/32 - 3/8 in wide. Enhanced kit. Structural Epoxy to repair basement wall cracks up to 10 ft using low-pressure crack injection with epoxy. This kit can be upgraded to 20ft Enhanced kit. Structural Epoxy to repair basement wall cracks up to 30 feet using low-pressure crack injection with epoxy. Structural repair of basement/foundation wall cracks up to 60 feet using low-pressure crack injection with epoxy. Equipped to repair basement wall cracks up to 60 feet using low-pressure crack injection with polyurethane foam. Pipe penetration seal kit for 1 to 2 pipes or holes ,easy to use kit with standard caulking gun. The Ultimate in cracked concrete wall repair for structural repair. 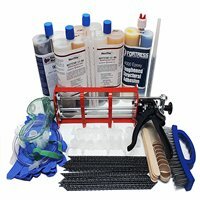 A combined kit of epoxy injection and Carbon Fiber Stitches, complete kit for up to 15 ft of wall in an easy to use kit.